1. What is High-Involvement Planning? 3. What Topics Are Included in the Planning? High-Involvement Planning, as the name suggests, is a business planning process that involves the entire organization. Individuals throughout the company meet to present data, discuss strengths, weakness, opportunities, and threats, assess the competition, review customer insights, and evaluate progress toward benchmarks in order to develop growth and contingency plans that get company-wide buy-in. At the heart of this planning lies the concept of forward forecasting. Forward forecasting happens when companies use their knowledge about the history of the business and the latest information on what’s happening with their customers and in the marketplace to help predict future financial outcomes. The purpose of this specialized process is to take the planning process out of the boardroom and put it into the hands of the people who have to actually execute those strategies. Keeping involvement high turns planning into a company-wide, collaborative engagement focused on discovering answers and elevating the organization’s growth trajectory. When employees help design and implement changes, they become more engaged and fight to see those changes succeed. Without this engagement, strategic business planning often has minimal results. A Strategy for Growth template is a document that helps companies outline a business plan in a simplified way. We’ve developed our Strategy for Growth template to guide businesses through the High-Involvement Planning process. Employee involvement is crucial to High-Involvement Planning and what makes this type of business management approach so different from other philosophies. When you involve everyone in the strategic planning process, their individual tasks become better aligned with the overarching company goals, and that synergy drives success. What Topics Are Included in Planning? During the planning, you will also determine 1–3-year and 3–5-year trends and qualify the level of impact those have had. Long-term strategic planning is necessary for the sustainability of most companies. This kind of planning is generally carried out in the 3–5-year range because it’s unreasonable to think that everything you are looking to achieve will come together in just a year or two. Another reason for making plans years into the future is that investments in resources like equipment and other debt may require several years to pay off. In other words, if you’re not already figuring out how you want to tackle your business planning objectives and strategies, or if what you are doing is failing, you need to take action. Mastering business planning and strategy is essential to getting your company unstuck and enjoying sustainable business success. If you’re already planning, how much effort are you putting toward this activity? Are you holding an annual leadership summit? What about two per year? Has planning for the future become more of an afterthought? What about your employees? Do they know the long-term goals and how to realize them? If your staff is out of the loop when it comes to the game plan, ask yourself why. Is it because you fear the unknown or are concerned that maybe it won’t produce the desired outcome? The truth is, you’re here because you need to try something different because what’s currently being done isn’t working. If you are open to new ideas and are truly driven to realize your goals, you will need to spend some time and money in order to achieve success. Most business owners and leaders know how planning affects success. Where the disconnect often lies is in the execution of the plan. With High-Involvement Planning, the results are dramatic because it changes how everyone thinks, and more importantly, how they act. The plan is executed when you get company-wide buy-in by first teaching employees to see the business from an owner’s perspective. From there, they can learn how their actions affect the big picture and can start contributing to the planning process. Plus, people support what they help create, so employees that play an active role in growing the company are also diligent about protecting it. Key to the success of High-Involvement Planning is the “involvement” part. You see, employee engagement makes all the difference. In a study of more than 7,000 businesses, the Gallup Organization concluded that employee engagement was positively associated with profitability and productivity. This study comes as no surprise to us because we’ve seen the benefits of engaging employees since we started open-book management back in 1983.
Business planning that involves and engages your staff delivers outstanding results. But, implementing this approach requires help. Our business planning coaches partner with organizations of all sizes in diverse industries to help empower staff for continual growth and improvement. In addition, we offer specially designed e-learning courses and provide documents that simplify plan development. Our High-Involvement Planning Workshop gives your team hands-on practice for implementing and sustaining a High-Involvement Planning process that educates all stakeholders on the realities of the marketplace and the strategic goals of your company. Identifying the methods and tools to motivate your team not only gives them a purpose, it improves morale and supports a positive company culture. Since an organization is only as good as its employees, raising staff participation is the first step toward realizing your broad goals for the future. Remember, the process isn’t a one-time fix, but rather an evolving practice that must be refined and optimized on an ongoing basis. The business planning process doesn’t need to be intimidating or mysterious. 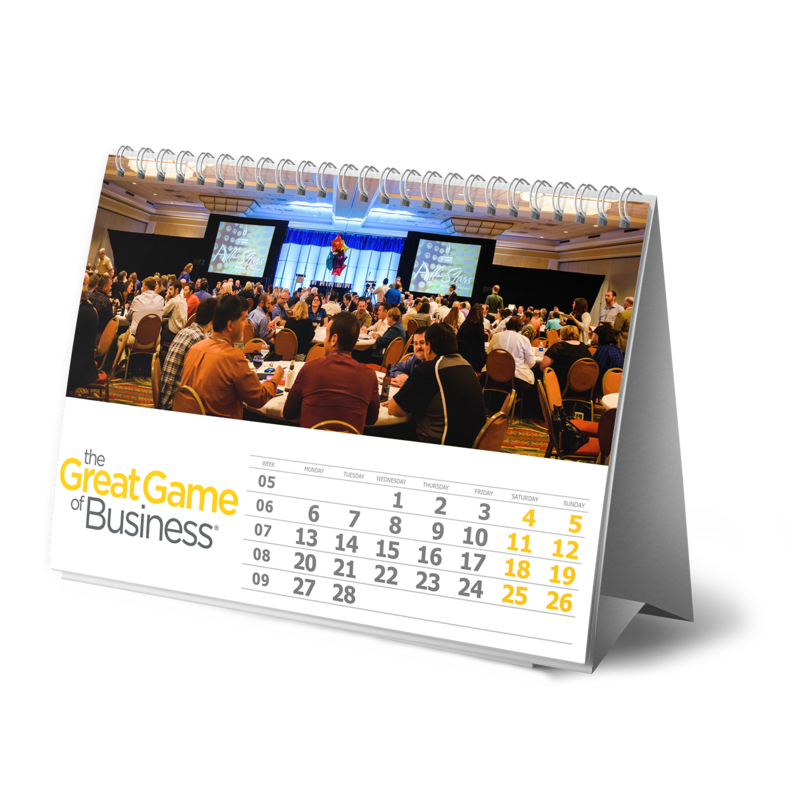 The Great Game is uniquely qualified to help you write a business success story people will talk about.